Dancing is as demanding an art form as it can be rewarding. The stresses that different dance styles place on the body are unique to dancers. Understanding the nuanced and delicate but ultimately fundamental interplay of dance technique, the body’s biomechanics involved in that technique, how and why certain injuries occur in the context of a dancer’s technique and dance and how to best not only rehabilitate dance specific injuries but also finally to prevent future injury, is what sets a dance medical specialist apart. The Princeton Dance Medicine Center brings together different medical specialists with a particular passion for dance medicine in order to provide the optimum, individualized care to each and every dancer. 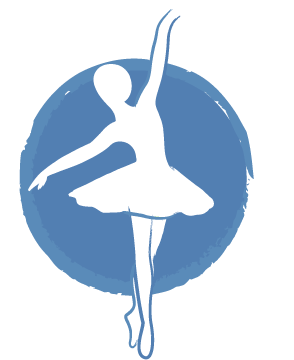 Under the direction of the founder and director, Dr. Bracilovic, each dancer’s care is uniquely tailored to his or her needs. Bringing together the best dance health specialists from the worlds of physical therapy, nutrition, personal training, podiatry and orthopedics, Dr. Bracilovic ensures that each dancer’s care is as unique and personalized as each dancer and each dance. Ana Bracilovic, MD, is a board certified physician and the founder and director of the Princeton Dance Medicine Center. She has lectured widely on the subject of dance medicine and has treated dancers of all ages and levels of expertise from small children with big dreams to professional ballet and Broadway dancers to people in their ninth decade of life who still enjoy moving to their favorite music and never plan to stop. From the School of American Ballet in NYC, to Mommy and Daddy and me classes for little ones, for Dr. Bracilovic, helping and healing dancers of all ages and abilities is not just a job but a true calling and passion. Scott Curtis, DO, is a board certified, fellowship trained physician who specializes in the care of sports related injuries and general musculoskeletal care. Dr. Curtis is the Director of Sports Medicine at Princeton Spine and Joint Center.After attending Penn State University, Dr. Curtis received his medical degree from Lake Erie College of Osteopathic Medicine and then completed his residency at Morristown Medical Center in Morristown, NJ where he was honored to serve as Chief Resident.Dr. Curtis completed the renowned Sports Medicine Fellowship at Atlantic Sports Health where he worked with the New York Jets, Seton Hall University Athletics, College of St. Elizabeth Athletics and various high school teams. From weekend warriors to professional athletes, high school athletes to 90+ year old tennis players, Dr. Curtis has a singular focus to treat each patient as an individual, identify their concerns as well as their specific goals and help them reach their aspirations using the most effective non-surgical care options. Zachary Perlman, DO, is a board certified, fellowship trained physician specializing in the non-operative care of sports related injuries and musculoskeletal medicine with a particular emphasis in regenerative medicine. He currently serves as the Co-Director of Regenerative Medicine for Princeton Spine and Joint Center.Dr. Perlman earned his undergraduate degree in Molecular Biology and Biochemistry at Rutgers University and completed medical school in South Florida at Nova Southeastern University. He then completed his residency at UMDNJ-Robert Wood Johnson University Hospital. Dr. Perlman completed a sports medicine fellowship in San Antonio, Texas, where he worked with multiple professional sports teams, including the San Antonio Spurs, as well as multiple university and high school teams. Dr. Kirkbride currently serves as the Co-Director of Regenerative Medicine at Princeton Spine and Joint Center.After attending Virginia Tech, Dr. Kirkbride received a Masters degree from Georgetown University. He attended Eastern Virginia Medical School, and then completed a residency in Physical Medicine and Rehabilitation at the University of Virginia, where he served with distinction as chief resident. Dr. Kirkbride also completed additional fellowship specialty training in Primary Care Sports Medicine at the University of Virginia, which afforded him the opportunity to work with the Virginia Cavalier student-athletes, and local high schools.